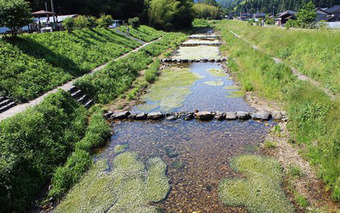 River's water blanketed in beautiful blossoms. 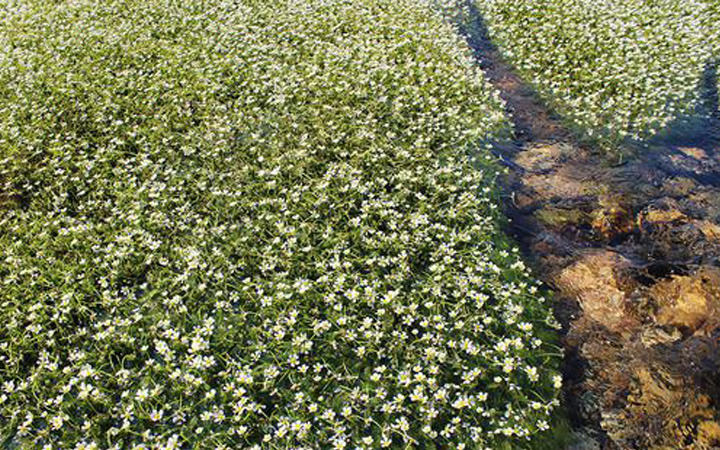 Baikamo flowers are small white flowers that bloom only in pristine waters at temperatures below 15°C (60°F). These flowers can be found blooming in the Takimi River in Shinonsen every year between May and August. 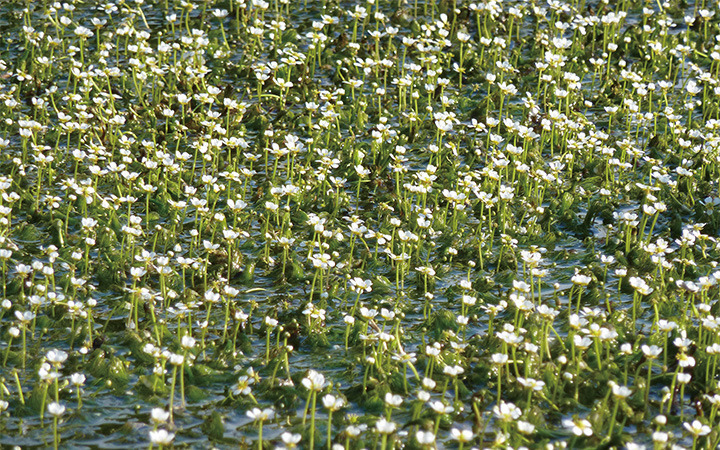 Baikamo flowers suddenly appeared growing in large clusters here about 30 to 40 years ago, children who saw these flowers nicknamed them "goldfish grass". 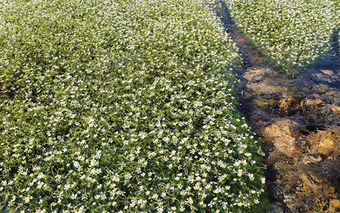 The flowers sway and shimmer in the crystal clear waters, looking like hundreds of little shinning stars, a beautiful scene popular among visitors.